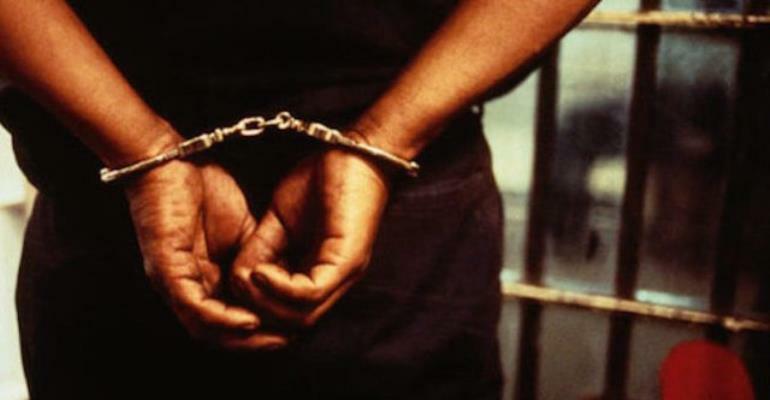 The Ashaiman District Police Headquarters have arrested two persons responsible for the murder of a 27-year-old man at Tsenagbe, a suburb of Ashaiman in the Greater Accra Region. The two culprits, Fuseini Wumbee, 22 and Adam Musah, 27, who are residents of Ashaiman, are assisting the police in their investigations to unravel the circumstances under which the incident occurred. The deceased was said to have been inflicted with a machete on his body prior to his death over a misunderstanding that ensued among them. The body of the deceased has been deposited at the Tema General Hospital morgue for preservation and post-mortem. Confirming the incident, the Crime Officer of the Ashaiman District Police Headquarters, Deputy Superintendent of Police (DSP) George Antwi-Tandoh noted that on Wednesday at about 3.00am, Kwame Owusu, who had blood oozing from his face and legs, rushed to the charge office of the Police Headquarters and reported that some young men assaulted him with machete during some misunderstanding. He further explained that a police medical form was quickly issued to him to attend hospital immediately at the Team General Hospital. Few minutes later, the crime officer indicated that whiles investigations were ongoing, the two suspects also came to the charge office to make a counter complaint that Kwame Owusu fought with them. When the suspects were making their complaints, he said that police had intelligence that Kwame Owusu had died as a result of the injuries he sustained. Both Fuseini and Adam were arrested and detained to assist in investigations.